I hear this a lot and don’t agree. Introverts typically think their message and arguments well through. They think before they speak and that makes them well prepared speakers. With a bit of help for a more dynamic and engaging presence on stage they can really rock it. When speaking to other introverts or one-to-one, an introvert can be entirely him/herself. That is comfortable. 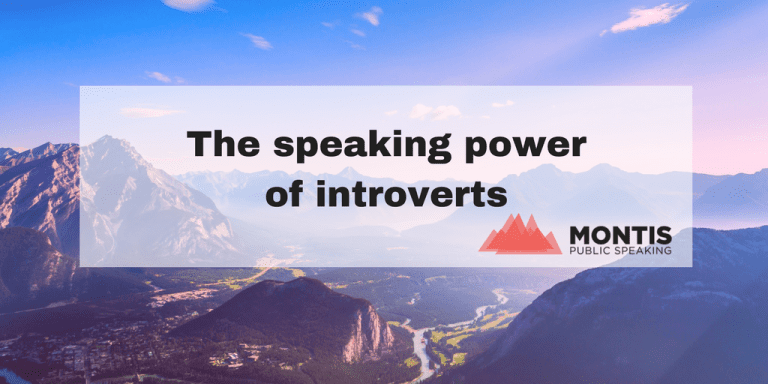 But, the thought of having to speak to extraverts can be daunting. Because we have the most difficulty understanding and interacting with audiences whose preferences are different to our own. Recognizing these preferences can help improve our presentation style. Typically our audience will be made up of both introverts and extraverts. My advice: strike a balance between your own personal style and speaking the language of your audience. Voice: Friendly and optimistic. Expressing humor, charm and infectious enthusiasm. Towards clear and determined. Focus: Connecting/Interacting with the audience, future oriented, use of stories. Clear goals to convince the audience. I wish for you this article brings you closer to your own best personal speaking style. PS I: Do you have a question on public speaking you would like to see answered in the next newsletter? Shoot your questions in the comments section.